One of my favorite things in the world is being outside, hiking up a mountain in the warm dry temperatures of Arizona. Beautiful weather aside, hiking also continually leaves me more sore than any workout I can come up with on my own back in Illinois. 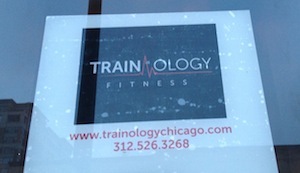 To my surprise I recently heard of a class called Hikeology taught at Trainology Fitness in Chicago’s River North neighborhood. I had to see if it was possible to get the same kind of workout indoors as I could out in Arizona! Using the unique FreeMotion incline treadmills, inclines range from -3 to +30%! The class alternates between fifteen minutes of intense intervals and endurance climbing, and fifteen minutes of strength training using the TRX, kettlebells or other equipment. While on the treadmills, you are hooked up to the My Zone heart rate monitor system where your heart rate percentage is posted on a leaderboard for all to see. Talk about holding yourself accountable! My Zone also stores your data to view and compare with other workouts. A majority of the hiking is trekking up inclines in a “walk,” however you are often encouraged to work hard in one minute intervals of “uncomfortable.” “Uncomfortable” could mean raising the speed while continuing to walk, or move into a light job uphill. At one point, I realized I was running up an 18% incline! This is something I would never have done on my own! Thankful for the excellent coaching, instructor and owner of Trainology Fitness, Michael Wollpert, kept us going with TRX training in between hikes. For as often as I use this phenomenal piece of equipment for my clients, I couldn’t remember the last time I used it for one of my own workouts. We worked everything from triceps presses to push-ups to squats with bicep curls, core twists and lunges. It felt really good to get back into some TRX! The fun continued back at the FreeMotion with a longer series of climbing that led us all the way to a 30% incline. If you’ve ever been on a treadmill, you know the average treadmill doesn’t go much past 15%. But as we approached the top, I stayed positive. I felt like I was truly pushing myself harder than in any other workout I’ve experienced. Being a cycling instructor where my quads get a majority of the attention, it was also thrilling to find a class that put the emphasis on my backside. 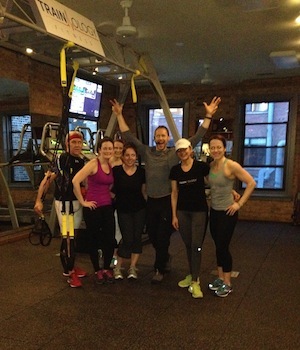 I was sore for four days from this one-hour class and was so happy, I bought my own training package! If you want to try something new, this is it. Hikeology is great for all levels and provides not only a stimulating workout, but one that holds your workout intensity accountable.